Arcaplex Horizon is a simple device for concentrating PRI, BRI and PSTN traffic onto a single PRI line to the central office. Reduce your network costs, why rent many expensive BRI lines when a single Primary rate ISDN (PRI) line offers lower rental and installation costs per channel. In most countries it is possible to have a part-enabled PRI interface which will only incur rental charges for the number of channels required. Arcareach | Sigma is an inverse NT-1 that changes an S interface (NT side) into a U interface (LT side) and provides power feeding (70V) on the U interface. Many digital PBXs offer ISDN S-bus interfaces as standard which can operate up to 0.9km (3000ft) under certain conditions. When there is a requirement for the S-bus to be located much further from the PBX the Arcareach | Sigma can be used to turn the S-bus interface into a U interface, supporting 2B1Q encoding. Emutel Duo is a convenient and flexbile basic rate and primary rate ISDN network simulator. With 3 software selectable S/U interfaces and optional 2 E1/T1 interfaces you can test and develop a full range of ISDN equipment. The emutel Harmony is a Call Generator and Network Simulator which has a modular architecture providing a powerful, robust platform that can be tailored to meet your current testing requirements and expand to include additional options as your needs evolve. A single system can provide anything from 1 to 15 ethernet interfaces, 8 to 120 E1 T1 interfaces, 16 to 240 analog interfaces or any combination of the above. emutel Maestro brings you the perfect solution for testing your DSL equipment. Connect to your product while still in your own testing lab and perform those final tests in a real environment, enabling you to identify and solve any problems before they occur on site. emutel Max is a standalone or rackmount unit that comes in five variants giving 8 BRI, 2 PRI and 8 BRI, 2 PRI and 15 BRI, 8 BRI and 14 analogue or 2 PRI, 8BRI and 14 analogue. emutel Max can emulate different country specific networks by adding network personality cards; networks supported include North American, NTT, Euro-ISDN, VN3, ITR6 and BTNR191. Protocol analysis option is also available on emutel Max. Need to test some ISDN equipment or do a demonstration but don't have an ISDN line on hand? Emutel range of ISDN network simulators will solve the problem. Emutel is a family of products which simulate the operation of a carrier network for PRI, BRI and PSTN. SIP Harmony has strong Call Generation capabilities. Using the SIP | Harmony 'Composer' application, scripts can be quickly created to generate high volumes of calls. Once calls are established they can be cleared down straight away or held active for any period of time to simulate different call lengths. The SIP | Harmony is also capable of terminating calls, so complete wraparound testing of any piece of equipment can be carried out. emutel Solo is a small, portable lightweight battery powered basic rate ISDN and IDSL network simulator. With 2 software switchable S/U interfaces and the choice of either Euro-ISDN, North American or NTT support. The fully featured Primary rate ISDN Simulator Emutel Symphony uses the industry standard ISDN chip set for reliability and accuracy. emutel Ultra is a standalone or rackmount unit that comes in five variants giving 8 BRI, 2 PRI and 8 BRI, 2 PRI and 15 BRI, 8 BRI and 14 analogue or 2 PRI, 8BRI and 14 analogue. emutel Ultra can emulate different country specific networks by adding network personality cards & networks supported include North American, NTT, Euro-ISDN, VN3, ITR6 and BTNR191. Protocol analysis option is also available on emutel Ultra. The emutel Virtuoso supports both V5.1 and V5.2 protocols including PSTN, BCC, LINK, PROTECTION GROUP 1 and PROTECTION GROUP 2. Up to 8 E1 connections are available for V5.1 / V5.2 and multiple V5.1 and V5.2 systems can be configured simultaneously. Cubro Vitrum is a server-based network management software. The visualisation of the software platform gives a better overview of the network and its traffic.The batch backup, upgrade and the error centre allows for easy management of Cubro’s devices. Additionally, it is also capable of including third-party tools in the visualisations. Kibana and Grafana integration enable the user to create and customise graphical dashboards that show all the necessary information at one glance. The Cubro Packetmaster EX2/EX2+, based on a newly-designed ASIC, is a switch like device. EX2/EX2+ provides network visibility which is needed to maintain control of network traffic. The device can filter, manage, and analyse network traffic down to the user level. EX2 and EX2+ can effectively tell what is happening in the network, which reveals what has an associated impact on the company and the company’s productivity. The Packetmaster EX5-2 is a network packet broker designed for handling copper interfaces from 10 Mbit to Gigabit. The Packetmaster filters and load balances traffic from 10 Gbps link to multiple 1 Gbps monitoring tools. It can aggregate multiple 1-Gbps links to 10 Gbps monitoring tools. The network packet broker EX6 is a flexible design for applications with mixed copper and fibre interfaces with 1 Gbit bandwidth. The EX6 allows you to filter and load-balance traffic from 10 Gbps link to multiple 1 Gbps monitoring tools or aggregate multiple 1 Gbps links to 10 Gbps monitoring tools. The EX12 is a packet broker designed to have a good price to performance ratio; the EX12 supports 12 x 10 Gbit interfaces and a combination of 8 native copper or 8 SFP interfaces for Gbit. The Packetmaster EX32/32(+) is a high performance network packet broker that aggregates, filters, load balances and generally steers the traffic based on 64000 possible rules. The Cubro Packetmaster EX32/32(+) is a reliable network packet broker which is designed for high speed and lossless packet handling. The Packetmaster EX484-3 is a network packet broker and network controller switch that aggregates, filters and load balances network traffic sent to network monitoring, security and management tools. The EX484-3 allows you to filter and load-balance traffic from 10 or 40 Gbps links to multiple 1 Gbps monitoring tools or aggregate multiple 1 Gbps links to 10 or 40 Gbps monitoring tools. The Packetmaster EX20400 is a network packet broker and network controller switch that aggregates, filters and load balances network traffic sent to network monitoring, security and management tools. The EX20400 allows you to filter and load-balance traffic from 10 or 100 Gbps links to multiple 1 Gbps monitoring tools or aggregate multiple 1 Gbps links to 10 or 100 Gbps monitoring tools. The EX32100 features highly sophisticated technology. It is an advanced system which can handle billions of packets up to OSI layer 4. The product is based on an advanced chip design combined with a high-performance multi-core host controller. The EX4600 features several advanced technologies. It is an advanced system which can handle billions of packets up to OSI layer 4. The product is based on an advanced chip design combined with a high performance multi core host controller. The Cubro EXA8 is a universal platform which is small in size but still powerful. It can be used for several monitoring applications for the enterprises, lab testing markets, and tactical markets. A powerful device supporting tapping, aggregation, filtering, NetFlow and traffic capture. The EXA40 Sessionmaster is a multifunctional network appliance. It combines a Layer 4 network packet broker with one or two high performance multi core CPU‘s. The EXA40 understands network protocols, not only by the port number but can also decode protocols similar to a Probe. This feature is vital to do keyword and regular expression search and to produce useful results. The Sessionmaster EXA40 Series focuses on the mobile core network, metropolitan area network (MAN), and Internet data center (IDC) big data monitoring. The EXA24160 is an advanced packet appliance for any layer 7 traffic routing and manipulation application. The unit is based on an embedded multicore design with 96 CPU cores and up to 128 Gb RAM, for maximum performance with a small power footprint. The EXA32100 features highly advanced technology. It is an advanced system which can handle billions of packets up to OSI layer 7. The product is based on advanced chip design combined with a high-performance multi-core host controller. The EXA48600 features highly advanced technology. It is an advanced system which can handle billions of packets up to OSI layer 7. The product is based on an advanced chip design combined with a high-performance multi-core host controller. The FlowVista Series provides flexible signature syntax and identification. The engine to support ACL and load balancing rules is based on IP 5-tuple in NetFlow V9 standard. The FlowVista Probe supports cross-packet search, hot swapping rule and can upgrade without interrupting the traffic processing. It supports correlate identification which means it is possible to correlate multi-session protocol and unify the identification result. The Cubro Mobile Probe Series can analyse and process network business and signalling in real time. The probes can improve network quality, promote the user perception and strengthen information security. Typical Applications: business analytics, service assurance, business assurance, security assurance, service performance. The EX Aggregator is an intelligent TAP for network data packets featuring high port density, diverse operation modes, flexible deployment and easy management and maintenance. With its excellent adaptability to various network environments it can provide telecommunication data for IDS, network protocol analysers and signalling analysers in real-time as needed. Gbit copper interfaces are still very common in many places, from data centres to enterprise networks. The Cubro Converter TAP converts traffic from optical Gigabit Ethernet links to an SFP output. With its passive connection to the network it does not influence the traffic of the optical network link while allowing complete access to the traffic via the copper 1000B-T monitoring port. Cubro provides a cost-effective, flexible small device which converts the incoming traffic to an additional output port. The Cubro Converter TAP uses SFP modules giving the user maximum flexibility. The Cubro FlexTAP 10/100/1000 allows the uninterrupted passage of full duplex data over standard Category 5/6 copper network cable. Featuring auto negotiating between 10Mbps, 100 Mbps and 1000 Mbps, this TAP duplicates the network signals, including any existing physical errors, to the transmit-only monitoring ports. Cubro BIDI TAPs provide visibility to bidirectional links. The TAPs export monitored traffic gathered from two transmitted signals, providing complete coverage for analytic and security tools. There are new smart concepts of tapping a link with two different wavelengths over the existing infrastructure with BIDI SFP which transports up to 10 Gbit duplex over only one fibre. The Cubro Optical TAPs maintain a permanent passive connection for monitoring purposes without introducing a potential point of failure or disturbing other network connections. Cubro passive optical TAPs deliver full-duplex monitoring with zero impact on the network. These TAPs provide a simple but powerful way to conduct in-service monitoring of high-speed optical networks such as SDH/SONET/OTN and Ethernet up to 100 Gbit. The optical TAPs are completely traffic transparent and offer 100% throughput. The Cubro Copper Bypass for 10/100/1000 bandwidth per link is realized with 4 telecom relay per link. The switching mechanism offers the reliability of a solid state device. The switch is a latched version, this means it needs only power during switching operation. The single link Cubro Bypass for 1,10 & 100 Gbit single mode is realized with two MEMS optical switches. The switching mechanism offers the reliability of a solid state device. The optical switch is a latched version, this means it needs only power during switching operation. Breakout boxes with MTP output make cabling simpler for use with QSFP 40 Gbit and 100 Gbit modules. Breakout boxes are converter connectors. Cabling needs care and attention to avoid cable issues. The complications arising due to cable issues can be minimized if breakout boxes are used instead of relying solely on adapters. The Cubro Media Converters are complete and versatile solutions for applications such as FTTx, CWDM and carrier Ethernet. All Cubro Media Converters are equipped with LEDs that display the status of each port in real-time, thus allowing users to view the network status easily. Cubro Media Converters provide an easy-to-access management web page, which allows users to view system status, counters and network statistics. The Swift S5’s simple and user-friendly design enables users to splice quickly and conveniently throughout the 5 processes; stripping, cleaning, cleaving, splicing & sleeving. The Swift KF2A is budget priced all-in-one splicer giving users all the benefits of the All-In-One range at an affordable price. The KF2A makes splicing easy. Swift KF4 is a very versatile and extremely accurate active cladding alignment fusion splicer that satisfies every splicing requirement. Slim, yet rugged and extremely light, the Swift KF4 assures users of convenience and effortless termination. All with the ability to provide high performance connections at a budget friendly price. Swift KF4A is a highly advanced and accurate active cladding alignment fusion splicer, which has been designed to perform the major 5 multifunctional features systematically: stripping, cleaning, cleaving, splicing and sleeving (All-in-One). The Swift KF4A is the best fit for fusion splicing and fusion splice-on connectors (SOC) of FTTx network applications. Swift KR7 is an advanced ribbon splicer that can provide quality terminations for up to 12 fibers at once. Additionally, the KR7 uses a user-friendly GUI for installer convenience. The K11 Fusion Splicer uses a core-to-core profile alignment system to provide the best possible termination of optical fibres. The K11 Fusion Splicer is suitable for MM as well as SM fibres or even DS, NZDS and EDF. The Swift R5’s simple and user-friendly design enables users to splice quickly and conveniently throughout the 5 processes; stripping, cleaning, cleaving, splicing and sleeving (All-in-One). The Swift R5’s thermal automatic stripper leaves no scratches unlike a manual strippers that can leave scratches on the fibre. 1/10Gb/s eXpert GTP Load Balancer and Adapter. Core network sites where GTP protocol is used are facing an extremely increase of traffic that the existing monitoring tools are unable to cover. While respecting GTP protocol correlation Aster A-818 can smartly reduce the amount of traffic, preserving users data integrity. 1/10/100Gb/s eXpert GTP Load Balancer and Adapter. Core network sites where GTP protocol is used are facing an extremely increase of traffic that the existing monitoring tools are unable to cover. While respecting GTP protocol correlation Aster A-820 can smartly reduce the amount of traffic, preserving users data integrity. 1/10Gb/s eXpert GTP Load Balancer. Mobile core network switches adopt GPRS Tunneling Protocol (GTP) to carry mobile data across the network. When GTP protocol is used get visibility into customer experience requires the capability to correlate each user session running into the GTP tunnel in order to consistently feed the monitoring tools with session-aware load balanced data flows, in other words sending all the messages belonging to the same subscriber to the same probe. 1/10/100Gb/s eXpert GTP Load Balancer. Mobile core network switches adopt GPRS Tunneling Protocol (GTP) to carry mobile data across the network. When GTP protocol is used get visibility into customer experience requires the capability to correlate each user session running into the GTP tunnel in order to consistently feed the monitoring tools with session-aware load balanced data flows, in other words sending all the messages belonging to the same subscriber to the same probe. 1/10Gb/s Packet Broker. Aster Packet Brokers provide real-time, end to end visibility allowing Telecom Operators to perform at their best. Microtel Innovation devices, once connected to the network, filter and address to monitoring tools the relevant traffic, resolving application performance bottlenecks, trouble shooting problems and optimizing network monitoring equipment . ETHERNIZER is part of Microtel Innovation network Visibility portfolio. Any model of Ethernizer allows to monitor TDM links by using IP probes, converting SS7 and VOICE to IP. Microtel Network TAPs, optical and electrical, are reliable data access solutions for non-intrusive network monitoring, being an essential device to obtain total network visibility. The M-vTAP is a software based solution that captures data passing between virtual machines (VMs) and sends traffic to infrastructure monitoring tools of choice. It provides 360° visibility of inter-VM traffic both within and across hypervisors. Alpine Patrol simplifies WAN monitoring by generating graphical representations of the optical network infrastructure and the devices used to access these networks. Patrol provides a persistent monitoring approach ensuring critical surveillance is maintained via automated responses to network provisioning changes. 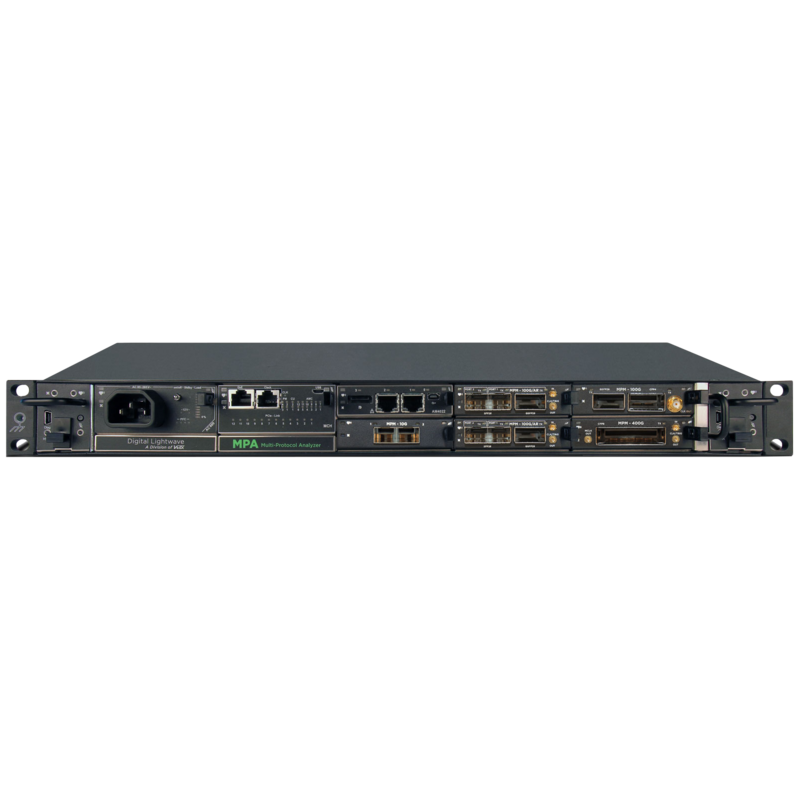 The NetQuest I-500 Interceptor provides non-intrusive, out-of-band, selective access to packet streams on legacy WAN interfaces including E3/T3, E1/T1, fractional E1/T1, and DS0. In doing so, the Interceptor I-500 enables Ethernet-based tools to gain access to WAN packet data traffic independent of WAN input or protocol type. The NetQuest I-2400 SONET/SDH Interceptor provides non-intrusive, out-of-band, selective access to packet streams on concatenated or channelized SONET/SDH broadband links and backbones ranging from high speed OC-48/STM-16 to low speed E1/T1, fractional E1/T1, and DS0. In doing so, the Interceptor I-2400 enables Ethernet-based tools to gain access to packet data traffic independent of TDM transport network or protocol type. The NetQuest I-8800 Interceptors deliver a network monitoring access platform including automated network traffic discovery and intercept capabilities for monitoring today's 10G and 2.5G optical transport networks. Without any prior knowledge of the network provisioning, the I-8800 is capable of discovering and reporting the contents of a variety of packet or TDM service networks including OTN OTU2/2e/1e, LAN-PHY, and deeply channelized OC-192/STM-64/OC-48/STM-16. The NetQuest I-9010 Interceptor delivers a comprehensive 10G network monitoring access platform including automated network traffic discovery and intercept capabilities for monitoring today's optical transport networks. Without any prior knowledge of the network provisioning, the I-9010 is capable of discovering and reporting the contents of a variety of packet or TDM service networks including OTN OTU2/OTU2e/OTU1e, LAN-PHY, and deeply channelized SONET/SDH OC-192/STM-64. The NetQuest I-9100 Interceptor provides 100G, 40G and 10G network monitoring access for automatic discovery and WAN to LAN translation of Coherent, OTN, SONET/SDH and Ethernet networks. This state-of-the-art network monitoring access platform includes comprehensive traffic identification and intercept capabilities for monitoring today's global packet optical transport networks. This includes identification of signaling speeds from 2.5G to 100G and transport technologies including OTN, SONET/SDH and native Ethernet. The details of the discovered DWDM network can be used to direct individual wavelengths to the desired network monitoring tool(s). The A-Series OptiCop Converger systems can be configured to meet the most demanding applications, with the ability to monitor SONET/SDH and PDH ATM circuits ranging from T1/E1 to OC3/STM-1 through OC12/STM-4. The P-Series OptiCop Converger systems can be configured to meet the most demanding applications, with the ability to monitor OTN, SONET/SDH services carrying POS and GFP circuits ranging from OC-3/STM-1 through OTU2,OC-192/STM-64. The T-Series OptiCop Converger systems can be configured to meet the most demanding applications, with the ability to monitor SONET/SDH and T-Carrier/PDH circuits ranging from T1/E1 to OC-3/STM-1 through OC-48/STM-16. The OptiCop T-Series Convergers provide functionality similar to a Digital Cross-Connect System (DCS) at a fraction of the cost and use significantly less footprint. Component failure is an ever-present concern. Netscouts nGenius 3900 Series Packet Flow Switch enables you to monitor network systems across hundreds or thousands of ports in order to effectively manage demanding, high-traffic volume environments. The Spectra2 3U single, high capacity, multi-user test platform can test your IMS, PSTN and Packet Core for functionality, performance and media quality. The SMI (Signaling Media Interface) family of hardware modules for TDM and IP environments enable functional, load, and media testing for the majority of TDM, IP and SIGTRAN based protocols. Core network test has never been easier than with Netscout Spectra2 award winning multi-user GUI. It is the front end to a deeply automated set of functional, load, and conformance testing applications that can all be accessed through a single, user-friendly GUI. With this level of ease-of-use, Spectra2 enables customers to maximize their productivity. Performance Testing is the only way to avoid signaling storms and assure service Quality of Experience (QoE). 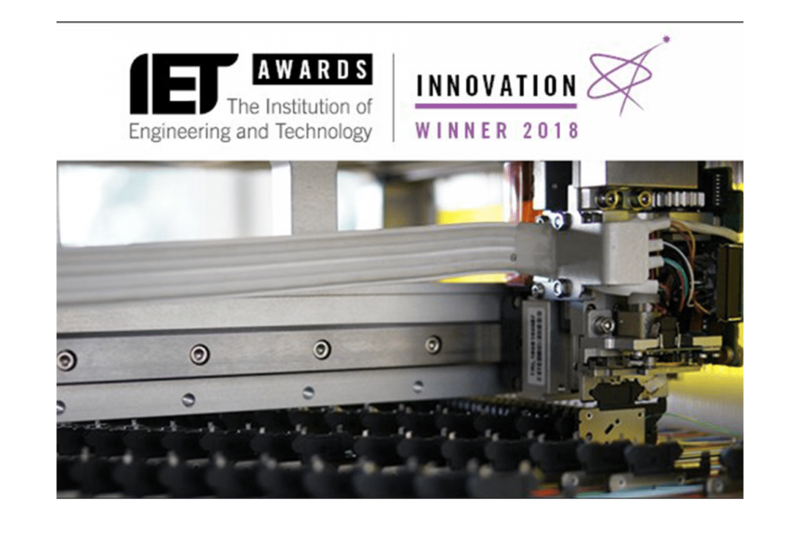 The Spectra2 XL3 hardware platform from Netscout is an IMS and EPC test solution that enables customers to drive extreme levels of IP signaling and media traffic into the network. In doing so, Spectra2 XL3 can help verify multi-dimensional network performance and deliver services with confidence. Netscout's TestStream Management Software for nGenius 3900 series packet flow switch provides an easy-to-use drag-and-drop user interface to define and manage topologies using layer 1 matrix switching and to apply layer 2-4 functions enabling increased efficiency, speed, and performance of test labs. The STACK-BENCHTOP testbed contains three Pal modules as well as an iGen for interference generation. Compact enough to fit on your desk or lab bench, the STACK-BENCHTOP can perform a comprehensive list of automated tests including throughput vs. range, maximum 4x4 throughput and mesh and airlink capacity testing. STACK-MESH is the most comprehensive of the standard octoBox configurations. It tests throughput vs. range; maximum 4x4 MIMO over-the-air throughput; and the ability of a mesh network to optimize airlink capacity. Mesh and band steering tests demonstrate how well an access point and range extenders maintain airlink efficiency to support demanding applications such as video and audio over Wi-Fi. octoScope’s BOX-18 is the most compact member of the octoBox family. Fully compatible with octoScope’s robust set of hardware and software testing and analysis tools, BOX-18 is specifically designed for such demanding applications as MIMO testing, wireless mesh performance analysis, and IoT testing. 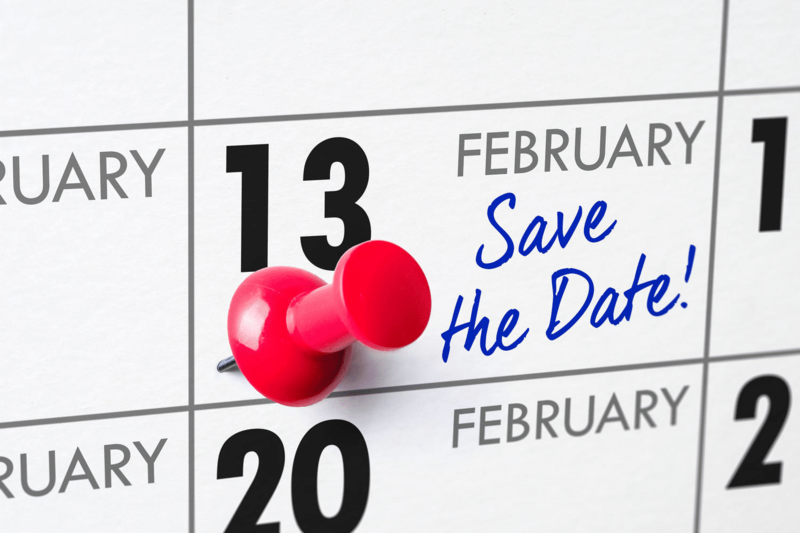 Many testing and verification applications require the complete isolation of each individual device under test (DUT) – exactly what BOX-18 is designed to accomplish. octoBox semi-anechoic chamber is a key building block of the octoBox stackable wireless testbeds. octoBox features stable anechoic conditions for over the air (OTA) signal transmission inside. It supports a variety of filters for high speed data, video and power that enable you to control the devices inside without breaching the isolation of the octoBox. octoBox-38 semi-anechoic chamber is a key building block of the octoBox stackable wireless testbeds. octoBox features stable anechoic conditions for over the air (OTA) signal transmission inside. It supports a variety of filters for high speed data, video and power that enable you to control the devices inside without breaching the isolation of the octoBox. BOX-TT semi-anechoic chamber with a built-in turntable, is a key building block of the octoBox® wireless personal testbed. The careful construction of the turntable and the method of its integration into the octoBox chamber ensure semi-anechoic conditions needed for controlled MIMO (multiple input multiple output) propagation. The turntable’s low-profile design leaves room for a variety of DUTs. The 1:2 quadSwitch quad single pole doublet throw (SPDT) RF switch module. Conveniently mountable to the side of the octoBox®, the 1:2 quadSwitch module is used for automatically reconfiguring the octoBox wireless personal testbed for a variety of test configurations. This module is completely isolated from the outside interference and optimized for use in octoBox personal testbeds. The octoBox® 4x4MIMO1:2 splitter/combiner module combines two 4x4 MIMO RF ports into one. Conveniently mountable to the side of the octoBox, the 4x4MIMO1:2 module can be used for the octoBox roaming testbed and for creating wireless testbeds with multi-device topologies that require MIMO devices to be coupled together. The octoBox® 4x4MIMO1:4 splitter/combiner module combines four 4x4 MIMO RF ports into one. Conveniently mountable to the side of the octoBox, the 4x4MIMO1:4 module can be used for the octoBox roaming testbed and for creating wireless testbeds with multi-device topologies that require MIMO devices to be coupled together. The octoBox Base is made of half-inch machined aluminum plate mounted on heavy duty industrial grade casters. The heavy weight of the Base is designed to safely support a 6'6" (2 meter) stack of octoBoxes and other components. All 4 casters have a locking mechanism to keep the stack from rolling. OB-COO is a simple system for either cooling or heating the temperature inside the octoBox by injecting cold or hot air into the fan inlet as the fan blows the air into the octoBox. When testing devices that dissipate a lot of power, sometimes cooling may be desirable to keep the temperature inside the octoBox at a reasonable level. The octoBox® iGen™ is an RF-isolated Wi-Fi traffic and interference generator. iGen generates 802.11a/b/g/n/ac or waveform interference, including radar waveforms for DFS (dynamic frequency selection) testing. iGen is used to create realistic interference conditions for testing wireless devices and systems. 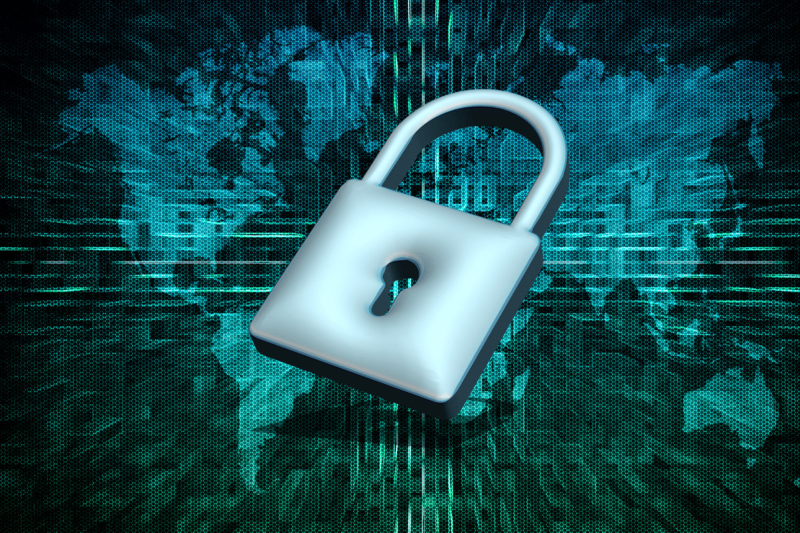 Traffic generation consists of replaying PCAP capture files produced by a Wireshark or other sniffers. The PAL is a partner device for wireless testing. Each is configurable as station or AP with fine control at the driver and firmware level to accurately test devices or systems on PHY to application layers. multiPal is a configuration of up to 32 Pals combined at the RF link for load testing. superPal can be used to test the functionality and efficiency of Wi-Fi 6 technology. As part of the octoBox personal testbed, the superPal enables the testing of 8x8 MIMO OTA (over the air), OFDMA, mesh testing, roaming, Wi-Fi/BT coexistence and more. octoBox quadAtten module contains 4 programmable RF attenuators. Each attenuator is completely isolated from outside interference and from its neighboring attenuators. Your can power and control the attenuators via a single copper line: either gigabit Ethernet with Power over Ethernet (POE) or USB. MultiDSLA solution is a state of the art measurement system for Voice Quality Testing and Performance Assessment used by many organisations as the reference measurement in applications ranging from core technology development to network operations. Specially designed for the industrial networks, the ProfiShark 100M is a powerful and highly efficient network TAP and troubleshooter. With unparalleled network monitoring features, this signature tool is ideal for both regular Ethernet and Real-Time Industrial Internet. Being ultra-compact and easy to use, it monitors all 7 OSI layers, it’s PoE compliant, while at the same time capturing and aggregating the entire full-duplex traffic of your network. ProfiShark 1G is one of the most powerful, compact portable network tap devices. It’s a portable troubleshooter dedicated to network monitoring, combining both performance and flexibility. This pocket-sized Gigabit TAP is the equivalent of an aggregator tap and two NICs, requiring only a laptop or a desktop PC with a free USB 3.0 port. ProfiShark 1G is the ultimate solution for your field testing and monitoring performance. ProfiShark 1G+ combines all the features of the award-winning ProfiTAP portable network TAPs with added GPS and PPS features for advanced timestamping. ProfiShark 10G is yet another powerful and portable fiber aggregation TAP and troubleshooter designed to provide complete visibility into your 1G/10G fiber networks. It can capture any traffic by using Wireshark or any another major software analyzer. ProfiShark 10G+ is a portable fiber TAP and troubleshooter that can provide complete visibility into 1G/10G fiber networks through a USB 3.0 connection. It does that by combining all the innovative features of the ProfiShark 10G with added GPS and PPS functionalities, for advanced timestamping. 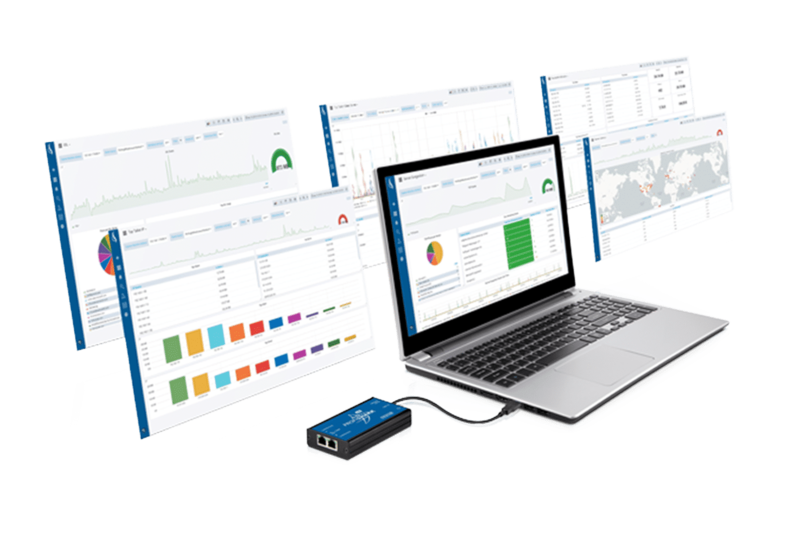 The Flow-based Traffic Analyzer, ProfiSight, provides a complete overview of what is happening on your network, with a level of visibility that is essential to efficient network troubleshooting and performance diagnostics analysis. The 925VST is a powerful handheld voice over packet (VoP) service qualification tool for field deployment and troubleshooting personnel who need a rapid and reliable installation tool. The 930i Communications Test Set is a multi function portable unit that features a powerful Next Generation Voice Test Suite. It offers a laboratory quality VF TIMS, a full-featured BERT, RS-232 control and a host of other functions as standard equipment. The 960B is a powerful multi-channel IP Telephony precision test instrument combining TDM, Ethernet and Analog interfaces and simultaneous test capability to comprehensively test and monitor Next Generation Networks in Real-Time. The 966R is a powerful multi-channel IP Telephony test server designed to provide service providers and manufacturers a robust test platform to remotely monitor, turn-up, and maintain voice, fax and data services. In today’s environment, test tools need to be cost-effective in both form and function. And with its broad range of instrument quality test features and its ability to be configured as a single or multi-user platform, the 966R can be shared to meet a variety of requirements in a Next Generation environment. The new SAGE Universal Cellular Test Tool (UCTT) 8901 is the industry’s most advanced and versatile portable test instrument for base station deployment and troubleshooting. The UCTT combines a laboratory quality spectrum analyzer, an innovative antenna tester and fully integrated backhaul test capabilities for E1/T1 and Ethernet (10/100/1000). In addition, the UCTT provides in-depth demodulation and monitoring capabilities for all 2G, 3G, 4G and 5G (NB-IoT) technologies. DCP-2 is a 1U x 19” chassis unit that hosts Smartoptics modular family of transponders and muxponders. DCP-101 is a low power plug and play 100G DWDM transponder. It converts 100G QSFP28 to Coherent CFP for metro, long haul and DWDM applications. In 100G DWDM configurations where it is not feasible to embed the PAM4 QFSP28 transceivers directly in the switch, or when setting up a demarcation point in an operator’s network, the DCP-108 eight channel open transponder is the ideal solution. High density multilane transponder module for the DCP-2 1U chassis system. DCP-M is exactly like using a passive multiplexer, but unlike a passive multiplexer it monitors the traffic, amplifies the signals for longer distances and can handle higher data rate protocols. These modules are designed for the best possible performance levels. That translates into low losses and even greater distances for transmission. All of these units can be housed in case hardened outdoor modules, and can be used outdoors. The range of passive CWDM/DWDM multiplexers and OADM modules allow up to 18 CWDM and 80 DWDM channels to be connected simultaneously over a dark fiber network. Cloud-Testbook helps organisations reduce their operational costs and increase customer satisfaction providing an automated self-service VoIP test capability. VoIP service providers and VoIP equipment providers can test and troubleshoot customers remote network connections to ensure that VOIP service is operational. By using a standard web-browser Cloud-Testbook can test that VoIP calls are possible and test the quality of each call by providing a media quality (MOS) indication. USB-Testbook helps organisations accelerate revenue generation through quick and effective VoIP service provision and troubleshooting. Based on a USB memory stick USB-Testbook is a self-contained live software environment that can be run on most x86 based laptops or computers. By using a live USB memory stick users are able to turn existing laptop or computer assets into a powerful VoIP tester without the concern of anti-virus or other corporate lock-down issues that may be present when using the device in a native Windows mode. Service providers and equipment suppliers use UC-Testbook to turn-up and test VoIP trunks, hosted VoIP services and VoIP equipment. Designed to meet the needs of VoIP technicians UC-Testbook has one of the simplest user interfaces on the market. With a powerful feature set UC-Testbook provides a comprehensive test capability required for next generation voice environments. The SwiftWing SIRIUS product is designed to meet today’s demand for high-speed, high-traffic packet capture in IP networks. SIRIUS is a capture & storing appliance capable of sustaining up to 40 Gbps capture to disk, regardless of packet sizes. No packets will be lost when capturing traffic, even during the most demanding and intensive network conditions wherever a most accurate capture result is needed. As a legally sanctioned official access to private communications, Lawful Interception (LI) is a security process in which a service provider or network operator collects and provides Law Enforcement Agencies (LEA), regulatory or administrative agencies, and intelligence services with intercepted communications of private individuals or organizations. Big data is awesome, you just need to see it! And that’s what the Network Analysis suite from Utel Systems is all about: To take billions of data feeds from telecom networks all around the world and letting it all make perfect sense right in front of you – on the screen of your computer. Making you able to understand, control and maintain superior network quality and performance – all key factors to boost brand loyalty, improve revenue and growing market shares. Big data is awesome, you just need to catch it! With the Network Monitoring solution from Utel Systems you can maintain a superior network quality and a first class customer experience by capturing information about network traffic and Voice Quality in Mobile, IP and TDM networks. STINGA Monitoring Probe and STINGA Performance Analyzer let you detect and resolve network issues and poor performance before end customers are affected..
STINGA Protocol Simulator simulates realistic network traffic and is an essential tool for network operators and service providers in ensuring Quality of Service (QoS) and Quality of Experience (QoE). STINGA Protocol Simulator is a cost-efficient test tool and performs SS7 protocol simulation over TDM and IP, as well as SCTP simulation, SIP-T simulation and ISDN PRI simulation. STINGA Protocol Analyzer is a stand-alone real-time protocol analyser – a complete system of software and hardware to monitor network traffic over mobile, IP and TDM interfaces. Telecommunication networks are becoming more complex, new services are introduced continuously, the amount of traffic increases dramatically and the demands on quality just gets higher and higher. In a competitive market, monitoring network signals, network protocols and network behaviour is more important than ever. For network operators and service providers, STINGA Protocol Analyzer is a essential tool in ensuring Quality of Services (QoS) and good user experience. The CX180F Probe in the VeSion monitoring system checks the performance of analog and digital channels being transmitted downstream or toward customers across a CATV HFC network. As part of the VeSion system, the CX180R sets new standards for form factor and performance. The space saving 1U rack mount unit integrates multiple DSP based test resources dedicated to 10 nodes in each system. Part of the VeSion system, the CX380X advanced Spectrum Analyzer and Bursty Demodulator captures rogue cable modems and provides proactive identification of potential network-affecting issues. 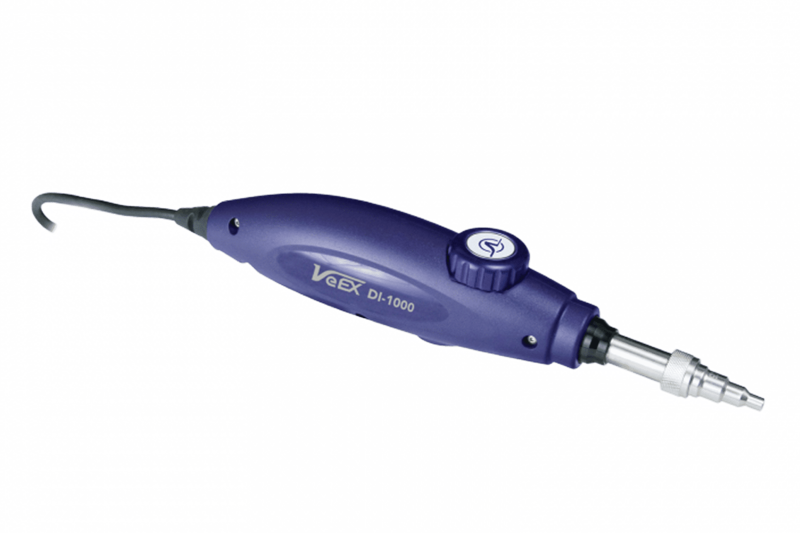 The VeEX DI-1000 digital fiber inspection scope provides clear images of the connector’s end face. Focusing on the contact areas, the DI-1000 grades the connector’s health and cleanliness after it is polished or cleaned. The results determine whether the connector can be used or if it needs to be polished or cleaned again. The FX45 range of handheld tools includes an Optical Power Meter (OPM), Optical Light Source (OLS), Optical Loss Test Set (OLTS) and Optical Return Loss Test Set (ORL). The FX150 mini OTDR is designed for the installation, maintenance and troubleshooting of FTTx, Mobile FrontHaul/BackHaul and Metro fiber networks. The compact, lightweight platform incorporates power meter, light source, fiber inspection probe and VFL test options which add exceptional versatility to the unit. Available in two test configurations, CWDM or DWDM C-band, the FX180 measures key parameters such as wavelength, channel power, drift and OSNR. This compact, robust, lightweight tester supports Spectrum view and an optional Fiber Scope for checking connectors. The OPX-BOXe is an ultra-compact, OTDR designed to operate remotely using Fiberizer software. The unit can be controlled via WiFi, Bluetooth or USB from Windows, iOS, Linux or Android devices. Part of the VeSion system, the OX4000 series optical switches provide reliable, fast, and repeatable performance. Units can be controlled via built-in keypad or remotely via RS232 or Ethernet Remote Fiber Test Systems (RFTS). The VeEX TLS-1000 Family of Tunable Laser Sources is designed to provide a new level of high performance testing and increased test efficiency by incorporating fastest swept-wavelength test ≥ 200 nm/s while reducing cost of ownership. One single platform for physical layer and multi-protocol testing requirements which will grow as needs change and expand, allowing modules to easily be added on-site and new capabilities to be downloaded. With all ports configured independently and operated simultaneously, the MPA significantly reduces the amount of testing equipment, required footprint and test time. SLAs can be remotely managed, eliminating truck rolls. 400G Ethernet test solution with native support for emerging CFP8 modules. Utilizing SHDSL’s multiple pair bonding application enables robust data transmission over long copper lines. MTT Plus SHDSL Test Module provides CPE installation, CO emulation pre-qualification, and IP/ATM services testing capabilities for service installation and verification. The module is based on the industry leading Lantiq SOCRATES chipset, offering best-in-class SHDSL performance and interoperability. Part of the MTT plus family of products, The MTTplus-320 Multi-Service Module is a full-featured test solution for OTN, SONET, SDH, PDH, DSn, 64k Codirectional, C37.94, Carrier Ethernet, Fibre Channel, SyncE, PTP and CPRI/OBSAI. The Fiber Optics test module for the VeEX MTTplus adds a full range of Optical test features that support OTDR, OPM, Light Source and VFL. The new MTTplus-420 GPON test module for the VeEX MTTplus platform is designed for service activation at the ONT location. The unit checks optical power levels and non-intrusively decodes the messages exchanged between the OLT and ONT allowing technicians to perform advanced troubleshooting. The MTTplus-520 AnyDSL module addresses key test requirements for IP based services deployed over a ‘universal’ DSL Access network. The MTTplus AnyDSL test module features VDSL2 and ADSLx physical layer tests and IP Services testing, including true VeTest speed test, enabling providers to ensure their services are properly delivered to end users. The MC100 and MC1000 are highly compact media converter accessories for use with the MX/TX Ethernet product series or for standalone applications. The MLX100 Metro Loopback Expert is an intelligent Ethernet loopback device developed as a perfect companion to the MX100+, MX120+, MX300, and TX300 products. The VeEX MX100e+ is a full-featured lightweight Ethernet test solution for 10/100/1000Base-T, 100Base-FX and 1000Base-X networks. Fitted with two 10/100/1000Base-T and two 100Base-FX/1000Base-X ports, the MX120e+ doubles the test capabilities and features available on the MX100e+. Additional features include full Ethernet testing and bi-directional in-service passthrough monitoring capabilities. The VeEX UX400 is the smallest multi-service transport test solution to offer test capabilities ranging from DS1/E1 all the way up to the latest high speed 40GE/OTU3 and 100GE/OTU4 network data speeds, supporting the latest CFP4, CFP2, CFP, QSFP28, QSFP+ pluggable optics form factors. 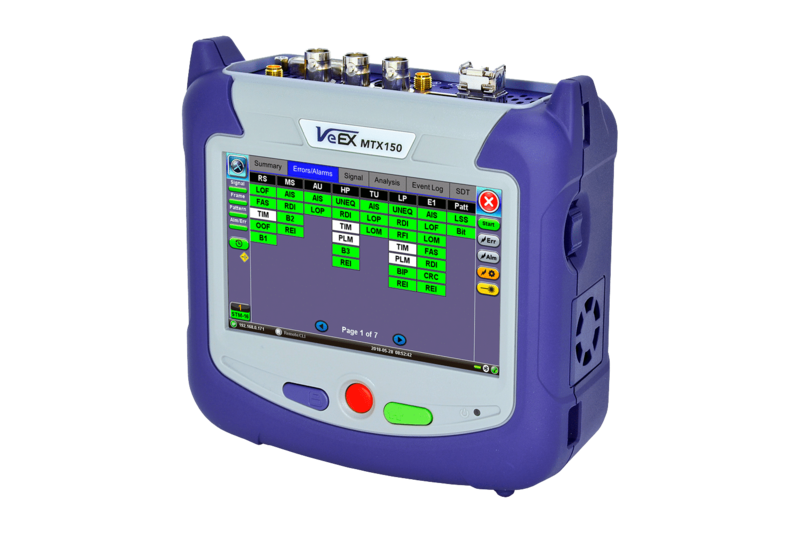 VeEX RXT is the industry’s most flexible, compact, and futureproof hand-held test solution for core and field applications. The new and completely redesigned RXT modular platform addresses the challenges of communications service providers to increase efficiency and productivity. The family of RXT modules offer full-featured portable test solutions for Transport and Access technologies, such as OTN, SONET/SDH, PDH/DSn, Carrier Ethernet, Fibre Channel and CPRI/OBSAI. The RXT-4100+ Fiber Optics test module is the world’s first field portable OTDR to offer up to 500,000 data points with 3 cm resolution. The modules feature a range of Optical test functions including OTDR, OPM, Light Source and VFL. The RXT-4111 test module for the VeEX RXT-1200 platform features a tunable DWDM OTDR for testing optical Mux/Demux to verify channel routing and end to end connectivity. The RXT-4112 test module for the VeEX RXT-1200 platform features a range of Optical test functions including CWDM OTDR, OPM, Light Source and VFL. The RXT-6000 module, with the latest technology in pluggable physical interfaces, is a perfect complement to the RXT Platform, extending its testing range to 100 Gbps. The RXT-6000e is the most complete and flexible portable 100G test set in the market. Equipped with most common transceiver form-factor ports and optional legacy test interfaces, this module is a perfect complement to the RXT Platform, extending its testing range to 100 Gbps and offering up to two simultaneous 100GE tests. The RXT-6200 is the most complete and flexible portable 100G test set in the market. Equipped with most common transceiver form-factor ports and optional legacy test interfaces, this module is a perfect complement to the RXT Platform, extending its testing range to 100 Gbps and offering up to two simultaneous 100GE tests. The RXT-6400 is the first truly portable 400G test set offering native QSFP-DD PAM4. The MTX150 is a fully integrated and self-contained multi-service test solution for OTN, SDH, SONET, PDH, DSn, Ethernet, SyncE, Mobile Backhaul, and Fibre Channel (SAN). The TX130/E+ platform offers customers a single, multifunctional access network diagnostic tool. The VePAL TX130M+ is a full-featured Mobile Backhaul test solution supporting legacy PDH/DSn, Carrier Ethernet technologies, and Synchronized Packet networks. The TX150/E+ is a compact and ruggedized tester for installing, commissioning and troubleshooting SDH, SONET, PDH, T-Carrier and G.703 64k Codirectional networks. A multi-service test solution for OTN, SDH, SONET, PDH, DSn and Mobile Backhaul networks with VeExpress. The Fiber Optics test option adds a full range of test features that support OTDR, OPM, Light Source, and VFL. The V-Probe Responder is a companion for the MTTplus-900 and WX150 WiFi Air Expert Modules to verify TCP and UDP throughput performance through a WiFi Access Point or Router. VeSion is a cloud-based one system platform, representing the next step in innovation. It integrates VeEX’s Preventive RF Monitoring (Return and Forward), Fiber and PNM (Return and Forward), MPEG, Ethernet, Advanced DOCSIS Monitoring, DOCSIS Burst Demodulation, Sweep, Workflow and Asset Management systems all under one umbrella. This provides MSO’s complete network visibility (VeSion) and reduces unnecessary Truck Rolls by alerting key personnel via SMS and/or emails to alarm conditions and location. In addition, VeSion links directly with an MSO’s billing system, allowing them to pin-point the exact location of the DOCSIS cable modem problem. Software solutions for remote optical testing and data post-processing for managing test data and generating reports that integrate OTDR, link map, GPS coordinates, OLTS (loss and ORL), connector inspection, and captured images. The ROME robotic fibre switch is built with carrier grade reliability and cost effectiveness and brings automation and software control to the physical layer network. The Multi-Protocol Analyzer™ (MPA™) platform provides simultaneous, multi-port, multi-protocol, multi-user transport testing from 10M to 400G for Ethernet/IP, OTN & SONET/SDH, and Fibre Channel in a compact rack-mounted platform. Flexible Test Modules and license options complete the portfolio. Provides advanced 40/100G CFP4 & QSFP28 based testing including support for Ethernet and OTN with deep multiplexing structures and client payload mappings. Combines dual port SFP28 based testing for applications including 10/25G Ethernet and 10/16/32G Fibre Channel with a QSFP28 port for advanced 40/100G Ethernet and OTN testing. Dual Port 10G SFP/SFP+ testing with support for advanced Ethernet/IP, OTN, SONET/SDH and Fibre Channel test capabilities. 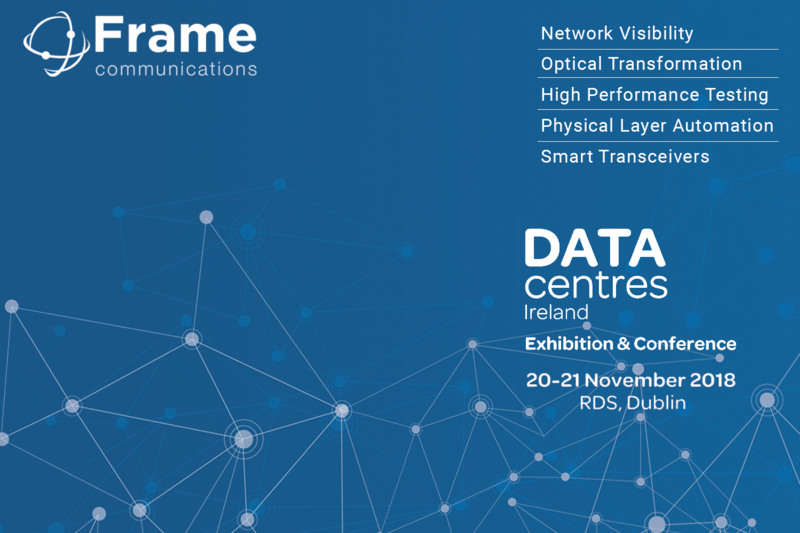 Frame are experts in supplying network test and monitoring equipment for telecom carrier and data networks We supply high quality telecoms test equipment essential for field turn-up and testing, lab testing and production line automation.